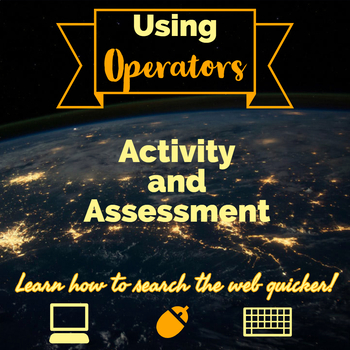 This product will help your students learn how to use operators when searching the internet. This download includes a slideshow with two links. One link is an activity that can be done in class on a computer and the second is an assessment also done on the computer. The assessment comes with a rubric that uses a 4, 3, 2, 1 scale.